If you'd like to save time from manual data entry, consider using Bank Feeds to connect to your bank and credit card accounts to QuickBooks Online (QBO). You will have the flexibility to see which transactions in the bank match transactions already in QuickBooks as well as easily add transactions that aren't already in QuickBooks. Over the course of time, the process of adding and matching transactions from your bank feed into QBO gets easier and faster because QuickBooks learns from your choices and offers suggestions to help expedite the process. You can connect your checking, savings, or credit card accounts to QBO if you want to automatically download transactions, as long as you use a participating bank. Click Add account in the upper right. When you check an Account Name you need to map the corresponding Account in QBO. Click the drop down arrow in the QuickBooks Account to see a listing of your accounts. QBO becomes intuitive about your banking information. It remembers entries you made in the past and applies those changes to similar transactions. QBO also reads bank descriptions and offers suggested account categories. Additionally QBO looks for matches among the transactions you entered in the past. QBO also checks for rules you create to tell it how to handle certain transactions. Bank and credit card accounts. The different accounts appear as cards along the top of the page. Select a card to work with the transactions in that account; click the left and right arrows in the section to rotate among the cards, or select a specific account from the dropdown list next to the page title. New transactions. Transactions are listed in detail by account. You have several options for filtering the list. You can choose to view only "recognized" transactions which are transactions QBO assigned a category to based on historical activity or rules you created. Or you can view all transactions waiting to be added or matched. Action. For each transaction, QuickBooks shows you a suggested action to take, usually Add or Match or sometimes Transfer. 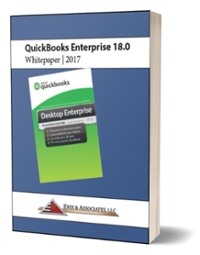 In QuickBooks and Excluded transactions. When you accept bank transactions, they move from the New Transactions tab to the In QuickBooks tab so you always have a record of the items you accepted. You can also exclude bank items. For each downloaded transaction, QuickBooks analyzes the bank information and gives you possible suggestions-category or payee, for example-for accepting the transaction into your books. If you agree with the information shown in the row, simply click Add at the end of the row to move the bank item into QuickBooks. Select a row by clicking on a blank area in the row. The row will expand to show you more detail. In the detailed view you can make changes to the transaction like changing the payee or category. You can also add a class or location if you have these preferences turned on. When all of the details are complete, click Add. The transaction will disappear from the list and move to the In QuickBooks tab. When QuickBooks downloads bank data it tries to find a match with any QuickBooks transactions already entered. If a possible match is found, it is listed in the Recognized tab and displays the word "MATCH" in green in the row. As you continue to use bank feeds, QuickBooks will match more items with each download. If you agree with the match information shown in the row, simply click Match at the end of the row. This will move the bank item into QuickBooks and match it with the existing QuickBooks transaction. If you aren't sure about the match, review the details. Select the row by clicking on a blank area in the row. You will see at least one possible match from existing entries. If more than one match is found, QBO displays them all. Click to select the transaction that matches the bank item. If you know there is a match but it is not one of the existing entries QBO found, click Find other matching transactions to search for a different match or to match to multiple transactions. If you find the right transaction to match, but the amount is slightly different you can make an adjustment to match the entry to the amount shown by the bank. When all of the details are complete, click Match. The transaction disappears from the list and moves to the In QuickBooks tab. Sometimes you may want to split a transaction between different categories. To split a transaction select the transaction you want to split. Show the details for the row and click the Split button. Select a payee, if there isn't one already selected. In the first line of the CATEGORY column, select a category and enter an amount. Click in the second row and select a category and enter an amount. To add another line, click Add lines. Add as many lines as you need for the split. You also have the option to enter a memo for the transaction. When the split amount matches the original amount, click Save and add. Once a transaction with splits is accepted you have to find the transaction in the In QuickBooks tab and click the link in the Added or Matched column. Make the changes directly in the form and save it. On the In QuickBooks tab, select the row you want to unaccept. Click the Undo button. The transaction will move back to the New Transactions tab. To undo multiple accepted transactions at once, select the checkbox for each row you want to change. To undo all accepted transactions, click the checkbox in the header row. Then click Batch actions and select Undo. Using bank feeds within QBO can be a very useful tool for managing your bank and credit card activity efficiently and effectively. Give it a try!